Ability Links is a free service promoting inclusion in the community. This NSW State Government initiative works in two ways: by supporting people with disabilities, their families and carers to fulfil their dreams and goals, and by linking with businesses and organisations in the community to make shared spaces physically and socially accessible. (For advice on how to do this, please click here.) . Who can access Ability Links in NSW? People up to 64 years, their families and carers, as well as clubs, groups, organisations and businesses seeking support on accessibility and inclusion. Who benefits from Ability Links? Ability Links connects individuals and communities with opportunities. 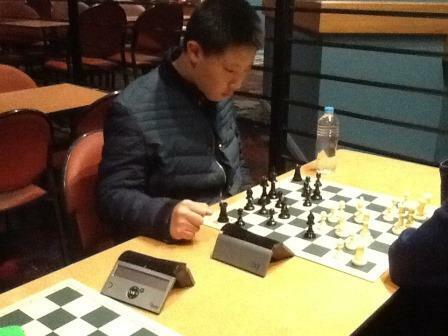 Warren is a 16 year-old boy living with autism who loves to play chess. He wanted to share his skills with others who were interested in learning the game. Sydney Linker Michael Bones introduced Warren and his family to the Bowen Library at Maroubra. Staff there were keen to start a chess club and needed enthusiastic tutors. Warren fit the bill perfectly as he loves teaching people and has very few opportunities to do this at high school. Warren’s father John says he loves how everyone who comes to the chess club wants to be there. “The people Warren helps are very cooperative and thankful for his input and support and he’s just so happy in his afternoon role,” John says. Read more good news stories here. Where is Abilty Links located? St Vincent de Paul Society NSW delivers Ability Links in the Hunter, Central Coast and Sydney Metro South regions. For more details please visit our Ability Links locations page. There are currently no volunteer opportunities within Ability Links, but please contact us to find out how you can assist in making your community more inclusive! How can I find out more about Ability Links? Visit the Ability Links NSW website.